Phyll Bugler is a small business owner and has been working as a County Councillor for ten years. 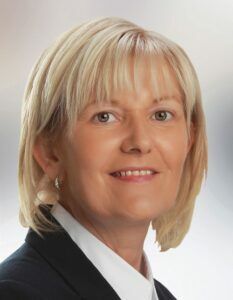 As a County Councillor she has been an active member of the Ballina and Newport Tidy Towns Committees, a member of the Ballina / Killaloe Business Association & has also been involved in the Brian Boru 2014 Millennium celebrations. Phyll was elected as Cathaoirleach of Tipperary County Council for 2017-18.